6 x 9 in - 15 x 23 cm. 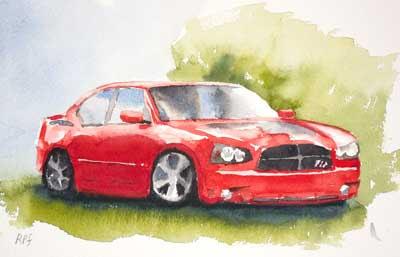 Another Challenge painting this time of someone's brand new car. Trouble is I have made it look a bit beaten up. This was fine for my series of Cuban Cars but not quite the most appropriate effect for a brand new sports racer.